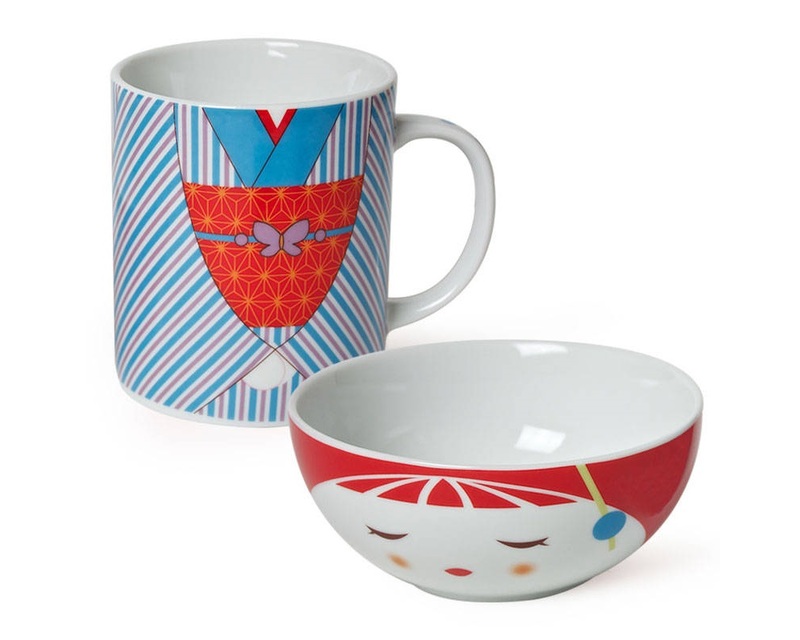 Tomodachi Mug & Bowl Set. Break time is waiting. 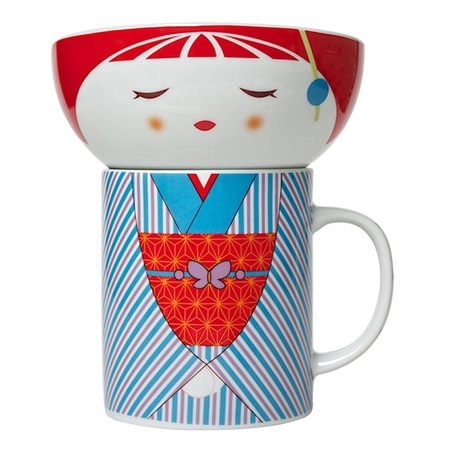 Use the mug (body) for coffee or tea and the bowl (head) for a light snack! 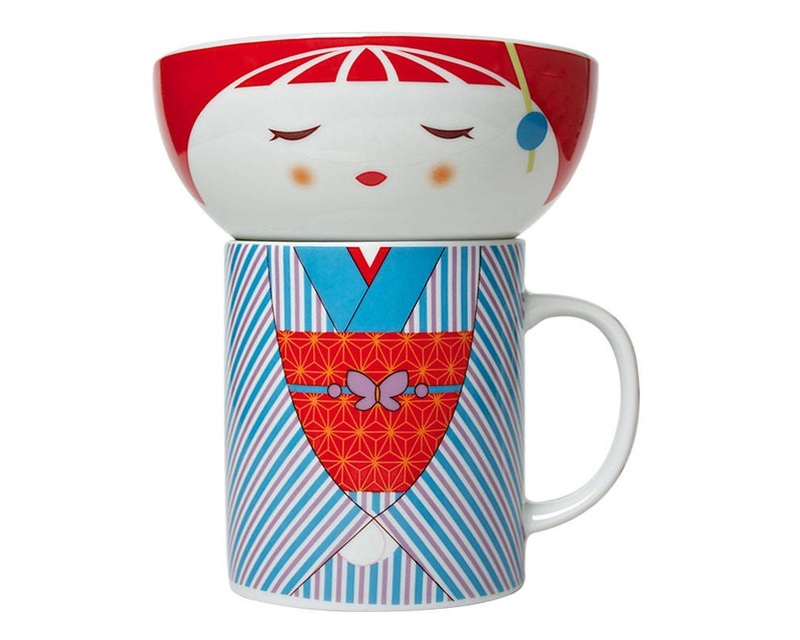 Every time you open your cupboard, you'll be greeted with this cheerful friend. 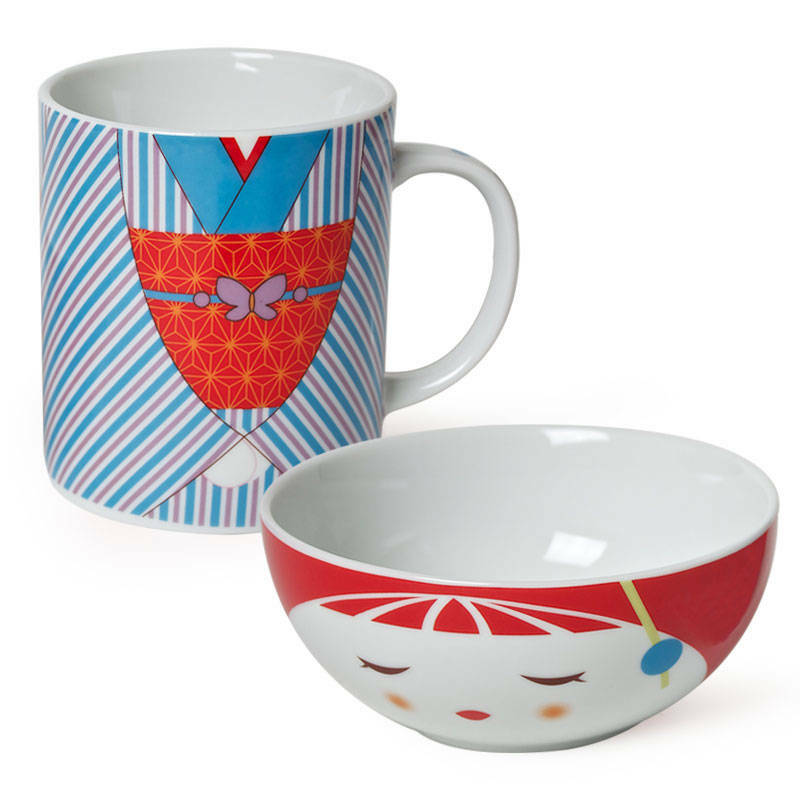 With your Tomodachi mug & bowl set, you'll never eat alone! Bowl: 4.5" diameter x 2"h.